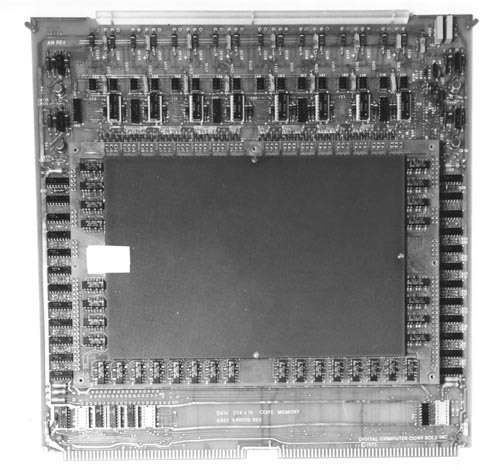 Black and white image of a DEC Core Memory board. "D416 32k x 16 Assy X401130 Rev Digital Computer Controls Inc (c) 1975". There is a small white square on center left side of print.